This is a great article, with some hopeful solutions. Please send updates as they come to you. I'd love to know more about the UC Berkeley grad student study. Is there a link/reference to this project? Thanks Teri! It's currently in the works, but I will make sure to post about the findings when they are released. 1) Does HUD really want to make tiny houses illegal? First of all, HUD is not trying to make tiny houses illegal. 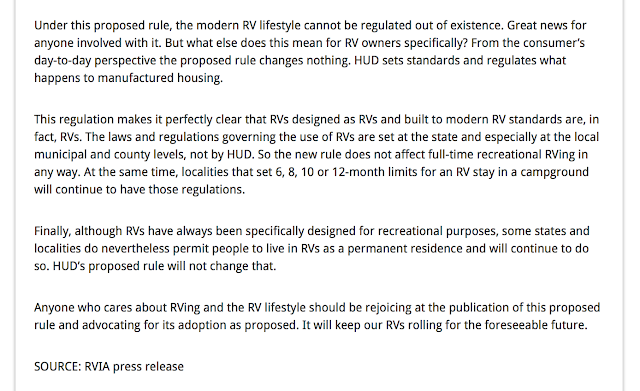 The intention of the proposed rule making is essentially a revision in the language of what is and what is not a manufactured dwelling and is brought to us by, um, manufactured dwelling special interest groups aka the MHCC, the committee who introduced the revision. I suspect proponents of manufactured housing want to tighten up the definitions so their certification process can continue unchallenged--they don't want tinys mucking it up! 2) Is the (tiny house) movement entering a new phase? Yes: the movement needs to advocate for new standards called tiny houses. The movement has been attracting the attention of planning departments who are tasked with deciding how to include tinys: are they permanent or are they temporary? While some will debate this question based on the presence of a trailer, the real determination must be whether they meet safety and health guidelines. Consider modulars: dwellings that arrive on a trailer and are made permanent by attaching them to a foundation. One could argue definitions of modular standards could be revised to include tinys. Or, as our own special interest group, we can advocate for the development of standards specific to tiny houses. Is there anything on wheels currently permitted for permanent occupancy? I'd support it, but politically it would be an extremely difficult sell. Unfortunately it is not simply whether they meet health and safety guidelines (though that is important!). For centuries public policy has been designed specifically to stamp out transiency and mobility (i.e. hobos). It would seem to me that the big builders will be lobbying strongly against changes in the building code. Everything is temporary... my life, my pets, my home. HUD is there to protect industry, not people. There will be people in HUD and other agencies that see the rules as more important than the lives. These people are quite comfortable in their homes tonight. Any proposal that lessens safe, warm, dry shelter that is affordable to the residents should be opposed. If it is not, it should be ignored, nullification by citizens of oppressive regulations affecting life, liberty and happiness is now mandatory, no? I agree that any proposal that lessens access to affordable shelter should be opposed, but the proposal being discussed here does not do that in any way. Hmm... I got it from the Activist Post article that I linked to, which didn't provide a source. Are you the photographer? G'day from Brisbane Australia, This is a very interesting and well written article. But it appears things are a bit different here in that we have lots of retirement villages with transportable (factory built) houses some arriving in 2 halves etc. And there are "cabins"in caravan parks like the mining construction accommodation Locally known as "Dongas". But our issue is the place you can put them is not freehold (you can't own the site you have to pay someone else rent) what our town planners need to do is allow subdivisions only big enough for tiny houses. It is silly now because in the big smoke (the city) you can live in a tiny flat (apartment) but when you want a tiny house on a tiny block they will only do it if someone takes responsibility for the whole complex (you have to pay rent. I came here via MiniMotives.com, and I posted this question there first. Personally, I am not a fan of Tiny Houses on Wheels (I LOVE the houses, hate the wheels), and I agree that ZONING codes should allow more alternative building styles. That being said, "zoning" is purely local, and based on keeping property values high, whereas "building codes" are meant to address safety. These HUD regulations screw over Tiny House ON WHEELS owners, and that is JUST WRONG! I have a SERIOUS PROBLEM with these new HUD regulations, and because of these regulations, the local "zoning codes" are going to crash head-first into these new "building codes" when it comes to Tiny Houses ON WHEELS. And, even though I personally would rather have a foundation house, there are in fact quite a lot of new Tiny House on Wheels owners who actually DO move their homes around quite often, and these people are now going to be SCREWED OVER by HUD. Why do people compare Tiny Houses on wheels to RV's in the first place? Aren't they more accurately compared to Mobile Homes - the ones that fill Trailer Parks? Those are mobile in the sense that they can be hitched to a truck and moved, but for the most part they sit stationary. Isn't that EXACTLY THE SAME as a Mobile Tiny House??? My guess is that the decision to compare them to RV's early on was a class factor. As in, nice neighborhoods do NOT allow "mobile homes" in their zoning, but having an (expensive) RV on your lot (not permanently occupied) is ok. I was glancing through those HUD regulation links you listed, and to me it sounds like HUD plans to BAN mobile Tiny Houses altogether. In other words, to me, it sounds like Tiny Houses on Wheels will be LIMITED TO ONE STORY - no loft living / sleeping space, based on the height clearance and stair codes alone. In that case, the ONLY DIFFERENCE between a "trailer park" Mobile Home and a Tiny House on Wheels will be, at best, the aesthetic look of the design. BUT, if that happens, you can bet your bottom dollar that any jurisdiction that WAS considering allowing a "cute" Tiny House a variance will quickly say "NO!" for fear of being sued by the "trashy" trailer park Mobile Home owners. KEEP THE FEDERAL GOVERNMENT OUT OF ALTERNATIVE BUILDING!!! The FEDs only care about BIG BUSINESS (NOT small Tiny House and alternative building contractors), such as the Manufactured Housing Lobby, and their POLITICAL CONTRIBUTIONS. Local government cares about their tax base, so bigger = higher taxes, but in over-crowded cities they may be cool with "high-class" Tiny Houses that do not negatively affect the property values of the surrounding properties. Those local jurisdictions are put at risk by building codes limiting Tiny Houses to one story "Mobile Homes" since they cannot legally discriminate between the wheat "high-class Tiny House" and the chaff "Trailer Trash." oops, forgot to hit notify so I can follow this thread. Ignore. I really think that you are stretching the point to think that this is some kind of government conspiracy to prevent people from living in tiny houses. If I say that they should have to conform to building codes then I am obviously in the pocket of big business who hates freedom and has deep pockets. The reality is that they need to be SAFER. With more and more people choosing to live in an alternative dwelling, there are more and more opportunities for things to go bad. How can you tell if your builder followed standard safety practices if there is any confusion over what is standard for these kinds of dwelling. This might not seem important but what happens when there is a fire and 2 people are trapped in a sleeping loft. Or a propane stove catches a wall on fire. As more and more builders create these tiny homes, how can you hold them to a standard without specifying what the standard is? There is currently a standard for RVs that says that this safety level is acceptable for occasional use as a recreational vehicle. There is another, more stringent, standard for manufactured homes where people are expected to live year round. Tiny houses need these regulations if there are going to be more of them. And frankly, they need to be safer. It would not take that much to add an additional exit in the rear, or push out windows in the loft, or specify fireproof material around heat sources, etc. People like to complain about government being involved in where we live, but modern building codes save thousands of lives per year. Just look at the trends in deaths in fires over the last 40 years (down about 50%). And, when there is an accident, and the homeowner is looking to sue someone, there is a clear cut set of rules to check out the builder and make sure that the structure was built properly. That makes it better for the consumer, better for the builder, and better for the insurance company that usually bears most of the financial burden. I think Unknown is misinterpreting things. Most tiny home types would not argue against sensible rules, in fact I have heard people, like Jay Schafer arguing for them in an effort to make them more legitimate. The main ruling that I have heard people upset about in the current climate is that any thing classified as an RV can only be used in a temporary capacity. That is really not a safety issue. People have been living full-time in RVs for years, thus the term full timers. People live full time in RVs safely even in northern states during the winter. All of the above arguments would be easily addressed with regulations already on the books. I do not need/want a nanny state to protect me from myself. If necessary, I would sign a legal statement that I would not hold the builder, government, etc. responsible for harm, especially some thing as mundane as living in my TH full time. Trying to have them registered as RVs does seem to have backfired, that seems more like a categorization/taxation issue, rather than safety. Regardless, of what they are legally called, I should be allowed to live as I see fit in my travel trailer or TH, without issue. 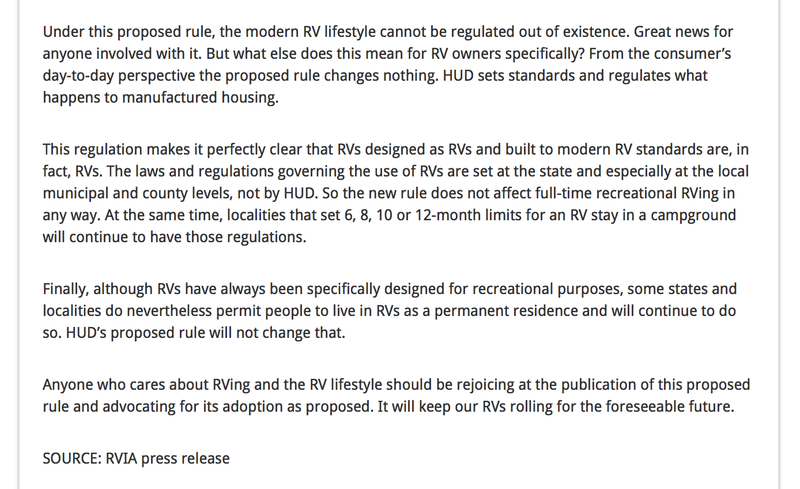 Really it's very effective speech that the best approach for legalizing tiny houses is not through HUD, it is not through the RVIA, it is through the IRC. Thanks for sharing this great informative and insightful post. Very informative post. 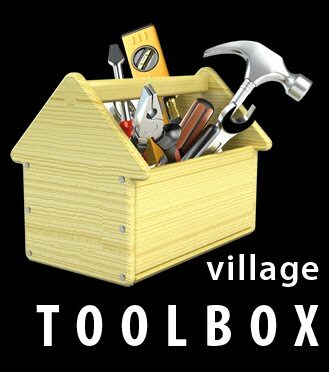 However the goal can be achieved through various strategies for attaching tiny houses to foundations. Thanks for sharing. I wanted to thank you for this great read! I definitely enjoying every little bit of information about tiny houses illegal. Gordon Rutty provide services of affordable housing and tiny housing.